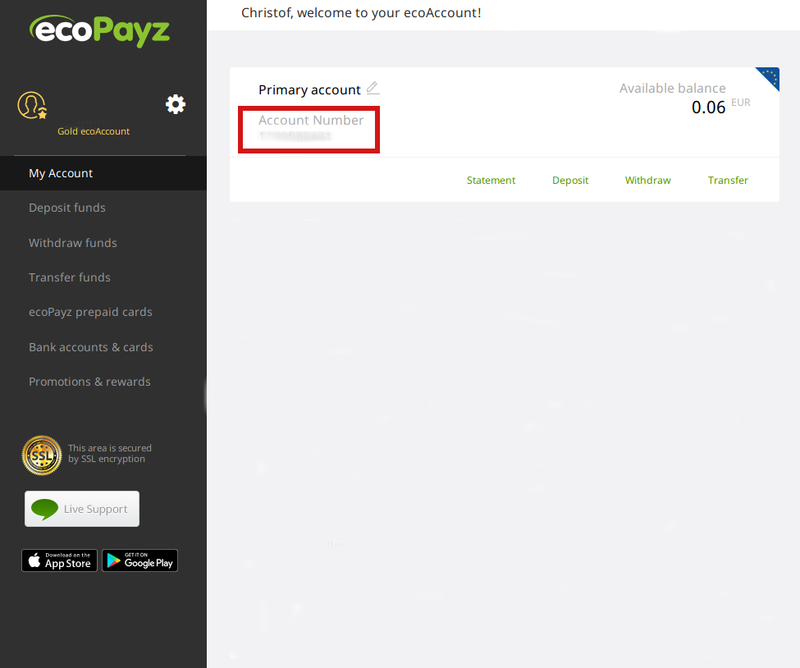 In our details ecoPayz review we have summarized all important facts and information about this great eWallet operator. We will show you how to easily set up your new ecoPayz account and how to verify your account. We also show you all benefits of their VIP system, their ecoCard MasterCard and all benefits you will enjoy by adding your account to our free eWallet-Optimizer bonus program. With our free eWO bonus program you will enjoy a lot of benefits. 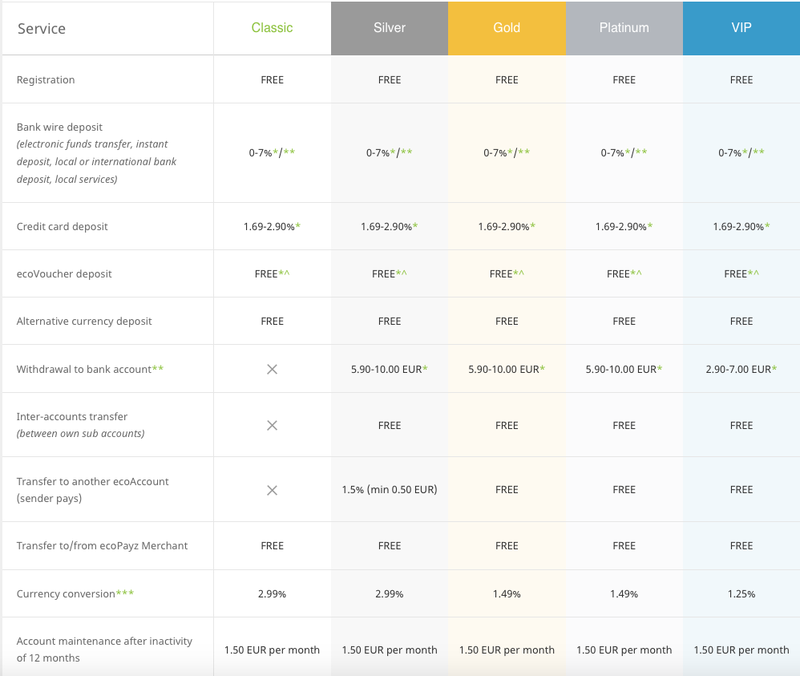 We will upgrade your account to gold VIP right after your verification, you will have the highest transfer and withdrawal limits, a free MasterCard, lower fees and of course our monthly bonuses of 0.5-0.65%. Besides that you will benefit from our additional support. Through our good contacts to ecoPayz we are able to help you to solve most issues or at least speed up the processes for you. Much lower fees than Skrill & NETELLER. Some bigger sites are not integrated yet. 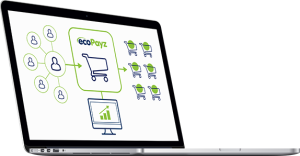 Similar to Skrill and NETELLER, ecoPayz currently is one of the biggest names on the market. Although ecoPayz is part of the eWallet market already since 2000, they are not as well known to most customers. The main reason is a lack of availability and merchant distribution in some markets, but also that they’ve started their affiliate program only a year ago. However, they are working hard to add more merchants and increase the availability and they also improved their platform a lot for example by adding an additional security feature (2FA). They are also regulated by the FCA (UK) and are authorized to issue electronic money. We are sure that ecoPayz will keep growing and strengen their position at the top of the eWallet market. Register your new ecoPayz account will only take a few minutes and by using the following steps you will create an account easy and fast. You will also enjoy all our benefits like instant Gold VIP upgrade and our monthly bonus. Existing ecoPayz customers can also apply to join our free Bonus Program. 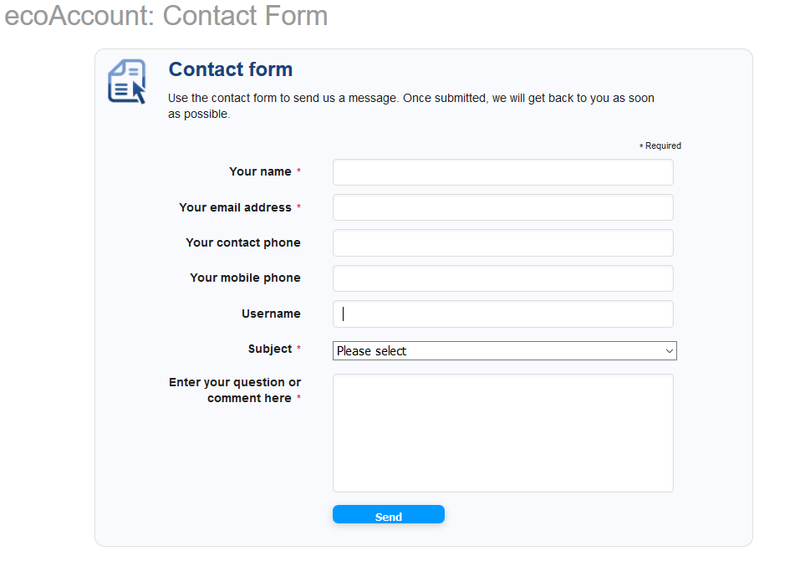 Just submit your data at our website and we will be happy to check and get back to you via email. 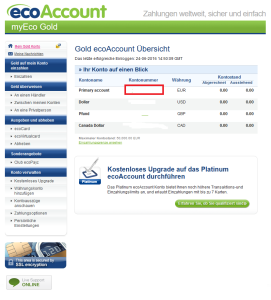 It is important to fully verify your ecoPayz account to be able to enjoy all benefits and remove all restrictions. The verification process is easy and usually your account will be ready within 1 day. You can upload your verification documents directly through your ecoPayz account, but our clients can also enjoy a special and fast-tracked verification procedure. For all information and details just check our ecoPayz Verification page and contact us for any further questions. a recent utility bill (not older than 90 days), showing your full name and address. Security is an important topic and especially eWallet customers need to make sure that their funds are safe all the time. 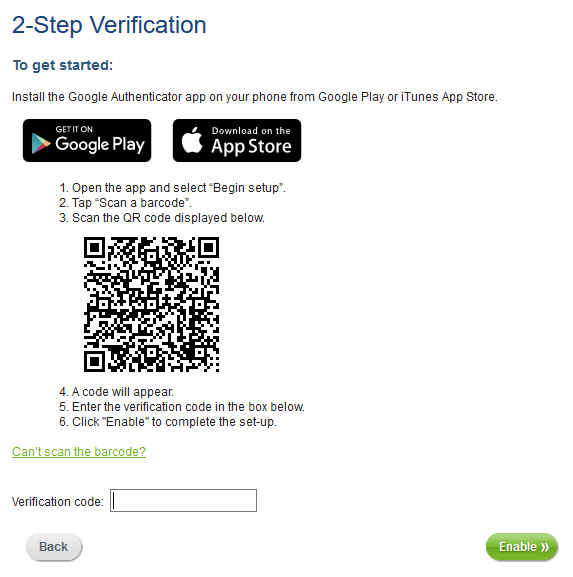 Therefore ecoPayz recently added an additional security feature called Two-step Authentication. 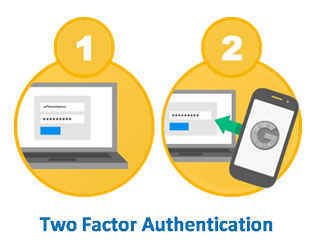 Every time you sign into your account or make a transaction your smartphone or tablet will generate a one-time-use code. This code comes in addition to standard login details and increases your account security drastically. Compared to the VIP system from some of their competitors ecoPayz offers slightly different system. There are 5 different level available, but it is not only about the transaction volume to reach higher VIP levels. 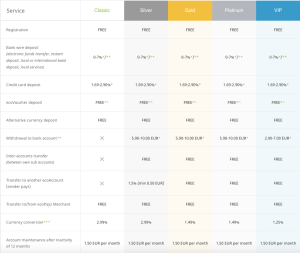 The following table gives you a quick overview about all different VIP level and the requirements to get upgraded. The lowest and standard level for normal customers. Credit card, address and identity, verification. → INSTANTLY for eWO customers. 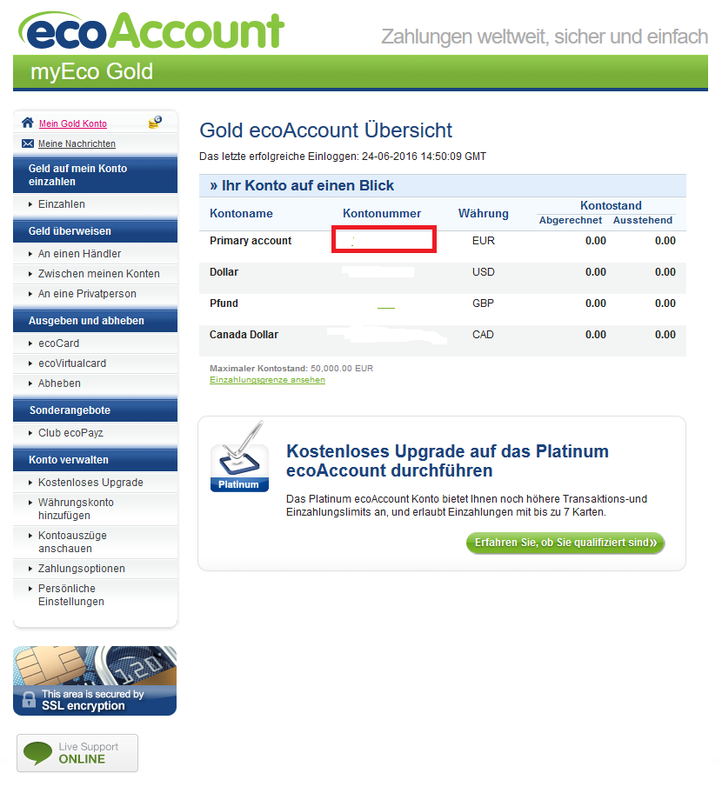 Gold VIP for 30 days, own active ecoPayz MasterCard and 50,000 EUR in transfers. Platinum for 30 days and 250,000 EUR in transfers. → After 10,000 EUR transfers for eWO. Please note, as a eWallet-Optimizer client you will be upgraded to Gold VIP right after their verification and also enjoy the highest possible transaction and withdrawal limits. Besides that, eWO clients earn a monthly bonus (0.5-0.65%) for all their outgoing transfers. The ecoPayz MasterCard, called “ecoCard” is a prepaid MasterCard that you can use with your ecoPayz account to load up and spend your money wherever MasterCard® is accepted. eWO clients can order the card for free and besides a small ATM withdrawal fee there are no additional costs. 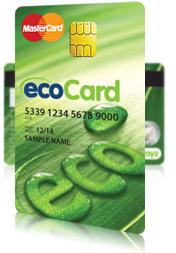 For more details about the ecoPayz MasterCard, there fees and limits just check our ecoCard page or contact us . It has become more and more important for clients to manage their funds with their mobile devices. So providing an easy to handle and comfortable mobile app is important for all companies. Therefore ecoPayz introduced the launch of their ecoAccount app in 2014. The ecoPayz app allows you to manage your digital wallet account and send and receive your funds to anyone, anywhere, at any time. It can also be used to verify your account and upload all documents directly through the mobile app. The free app is available on Android and iOS platforms and can be found in Apple app store or Google Play store. For more information visit our ecoPayz App page. They also offer deposits in Bitcoin. Depending on your country of residence the fees for the different options can vary. Make sure to check the fees for your current location before making a deposit. In addition you can also use your ecoPayz MasterCard for ATM withdrawals and send money via p2p transfer to another Skrill account. 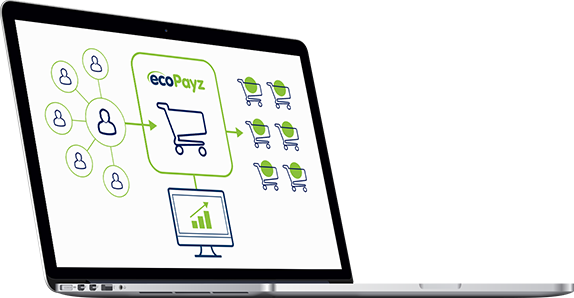 Unlike Skrill and NETELLER, ecoPayz offers a great and fast support. Consequently, their rating on Trustpilot is 5.0/10, much higher than Skrill (1.5) or NETELLER (1.4). 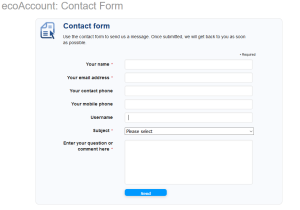 They offer telephone, email and live chat support. 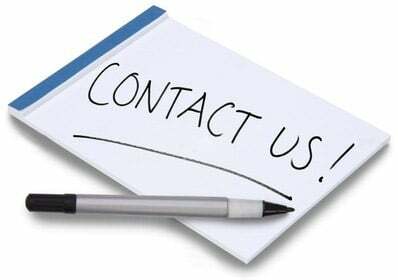 If you have any questions regarding ecoPayz, please do not hesitate to contact us . We are here to help! ecoPayz accounts are serviced almost all over the world. The ecoPayz MasterCard is only available for customers in the SEPA region.